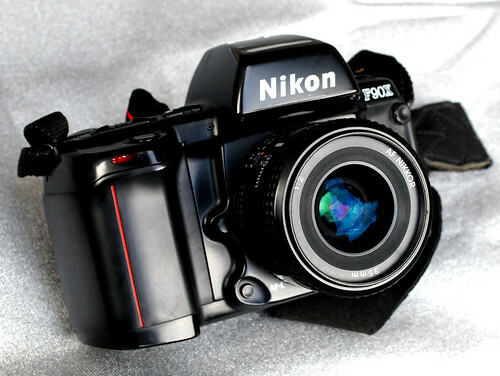 The Nikon F90x is a 35mm autofocus SLR using Nikon's F lens mount. It was targeted toward the advanced amateur or prosumer; its feature set is comparable to that of Nikon's current D100/200/300 SLRs. The name N90s was used for marketing in the United States; everywhere else, the camera was called the F90x. 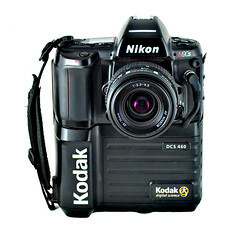 This camera was also used as the base for the Kodak DCS 400 series of digital SLRs. The N90s/F90x was introduced in 1994 and discontinued in 2001. 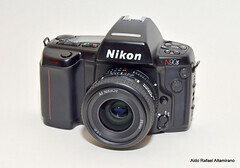 The camera's predecessor, the N90/F90, was introduced in 1992 and discontinued in 1994. The successor to the N90s, the F100, was introduced in 1998. The N90s/F90x is compatible with nearly all Nikkor F-mount lenses as well as all Nikon SB series speedlights. 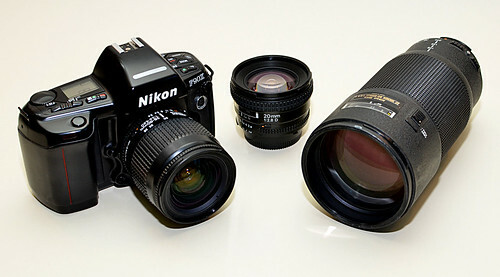 All functions, including autofocus, work properly with Nikkor AF, AF-I, AF-D, and AF-S lenses. The camera does not use VR with any lens. G-type lenses (lenses without aperture rings) can be used with the loss of some functionality: only the lens' smallest aperture can be used in manual or aperture-priority exposure modes. 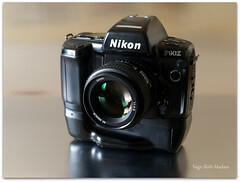 The N90s/F90x is one of the few cameras compatible with Nikon's TC-16A AF Teleconverter. This teleconverter contains special optics which are driven by the camera's AF system to provide some autofocus capability to AI and AI-S lenses! More information is available here. With the proper hardware, the N90s can be linked to some Sharp electronic organizers to set additional custom functions. Ken Rockwell's site has some more detailed information about this function. This page was last edited on 4 February 2019, at 18:39.